On Friday the 12th of October I finally got round to visiting the Shakespeare Museum, Library and Archive Collections who had kindly provided me with lots of information on Anglo-Saxon archaeology digs across Warwickshire, specifically the ones at Bidford and Alveston. I also had a read of the Wasperton dig too as there was an amazing book in the reading room about it. 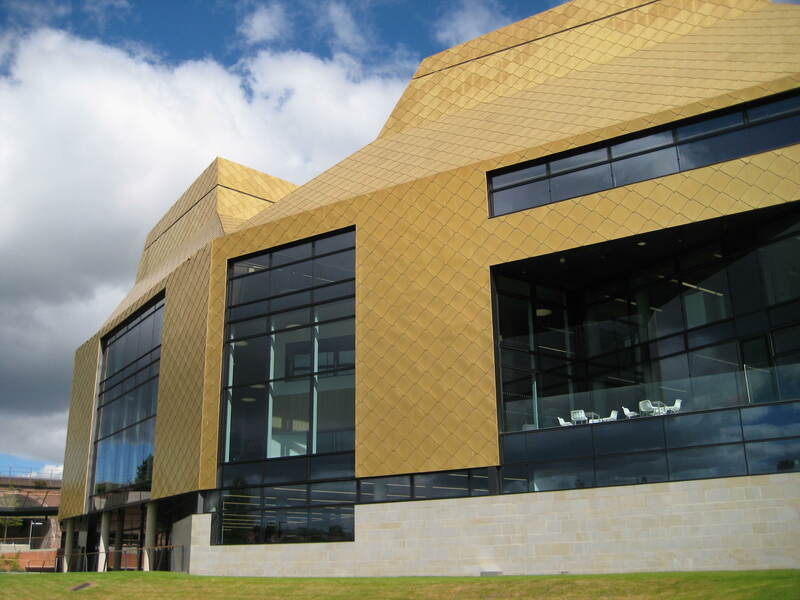 Well, I decided to go my hometown over the weekend as I had booked my place on a talk at the Potteries Museum, Stoke-on-Trent. As you might have guessed, it was a talk on Anglo-Saxon history. My obsession with this period in history is gradually getting bigger. I have bought numerous new books, become involved with reconstructive archaeology groups, and I’ve been doing my own research too. 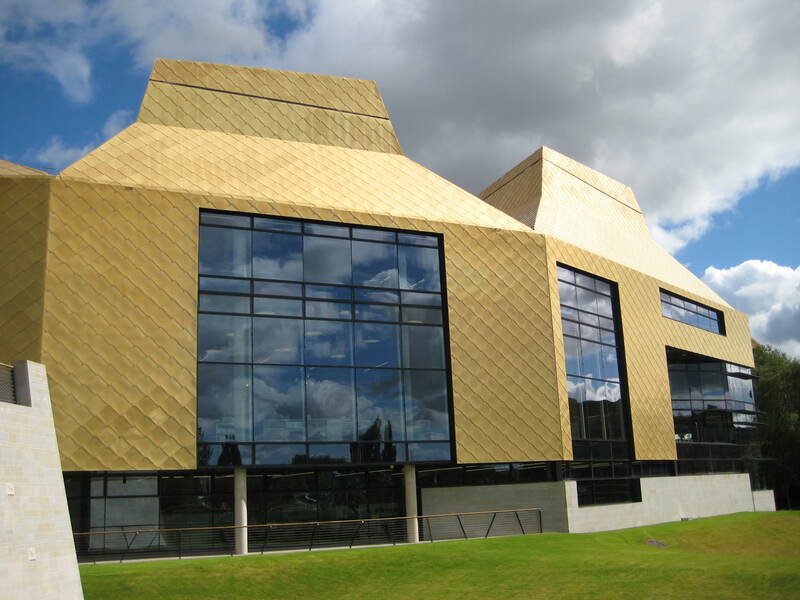 I was especially excited about visiting the museum because I haven’t been to Stoke in a while, and I know it has a bit of a reputation, but I’m actually really proud of where I’m from, and the museum did not disappoint me at all. In fact, it exceeded my expectations, both in the permanent gallery spaces, the new exhibitions, and the talk itself. Busy busy busy! I thought it would be a great idea to check out some of the Wolverhampton events, tours and exhibitions happening in the city today. I had a fantastic time, although driving to the city was the scariest experience I’ve had in my car so far- roads of death! I managed to park in the multi-storey right in the centre, then I fumbled my way from the darkness of the underground into the light, emerging right outside the first place on my list to visit. So it all worked out well in the end. 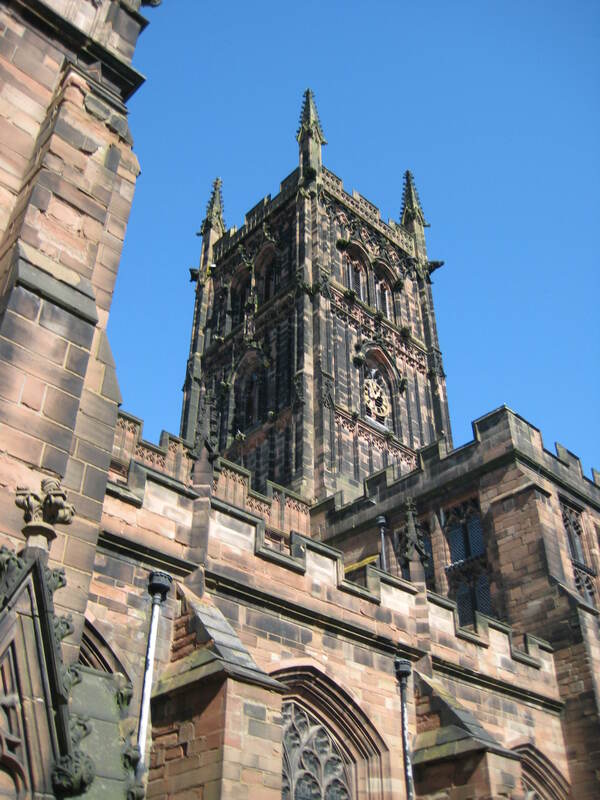 So, the first place I visited was St. Peter’s Church, a Grade I listed building, which is right in the centre of the city. It is a mix of Early English, Decorated and Perpendicular styles in red sandstone. This evening I was invited to a tour of the archaeology site I have been working at, led by one of the lead archaeologists. Even though I work there, it was good to get a review of everything that has been discovered in the previous years that I haven’t been there. It also gave me a chance to hear about new developments, including the opening of a new trench on site, which I will hopefully be involved with this weekend! As well as reviewing all the trenches I listened to the history of the site, which will be presented in a written report and available to read soon. What I didn’t realise till visiting tonight, was just how big Shakespeare’s final house was. Because of what has been discovered through uncovering foundations, New Place was connected to Nash House during the 1530s. 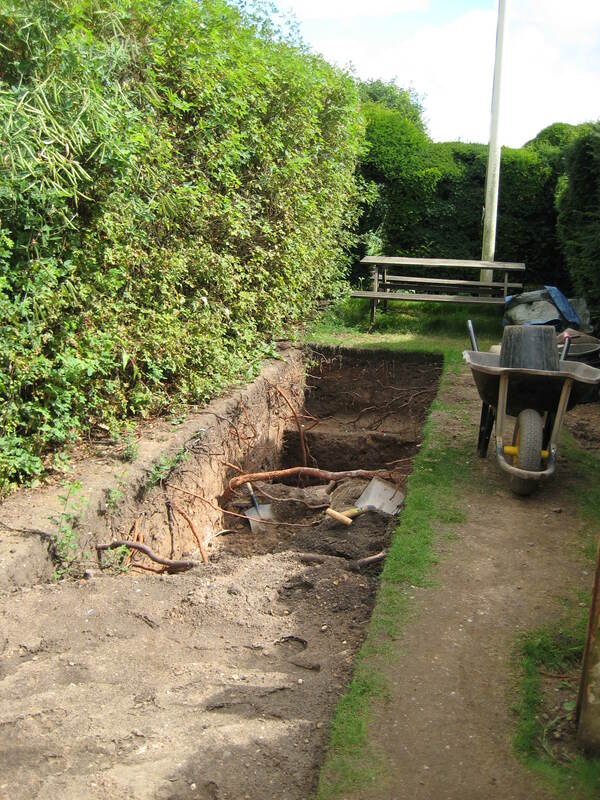 In the courtyard they have found evidence of a water source which may well have been shared between the two buildings. I don’t even know where to start with this one! It has been an epic weekend! I decided to go visit Tamworth, a little town in Staffordshire as there was a Heritage Weekend happening. Basically, it was a weekend of celebrating the unique history of Tamworth going back 1400 years. 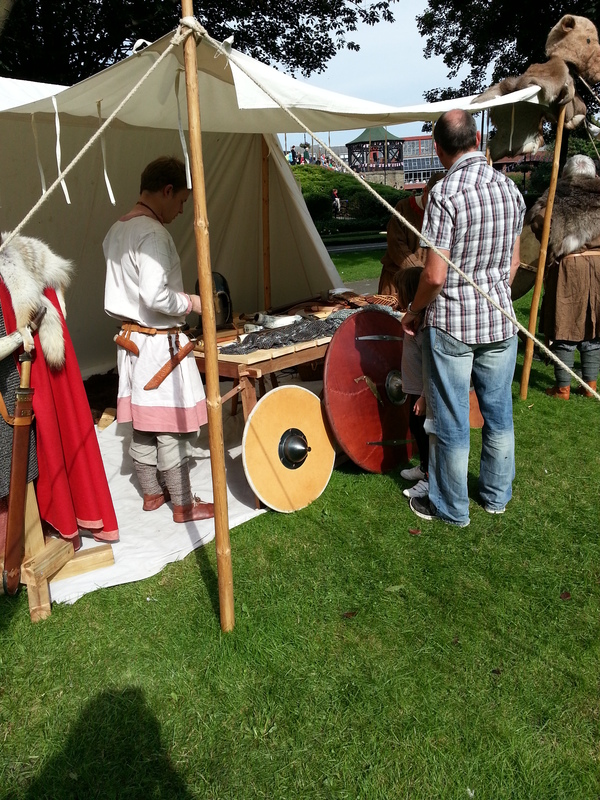 The activities were centred around Tamworth Castle and the Castle grounds with a living history Saxon encampment, exhibitions, workshops and community stalls. I need to say a big thank you to Æd for telling me about the event! Without him this post wouldn’t even exist! Tamworth Castle itself is the site of the ancient captial of Mercia and was once home to the King of Mercia’s palace…so, lots of Anglo-Saxon history to celebrate! I bought a book from the gift shop entitled ‘Tamworth: The Ancient Capital of Mercia’ written by Stephen Pollington and I also managed to meet the author that day too!! He was a great guy, very knowledgeable and was attending the Heritage event with his group the Wulfheodenas (a living history society). They had authentic Saxon clothes, and weaponry and were also making foils. 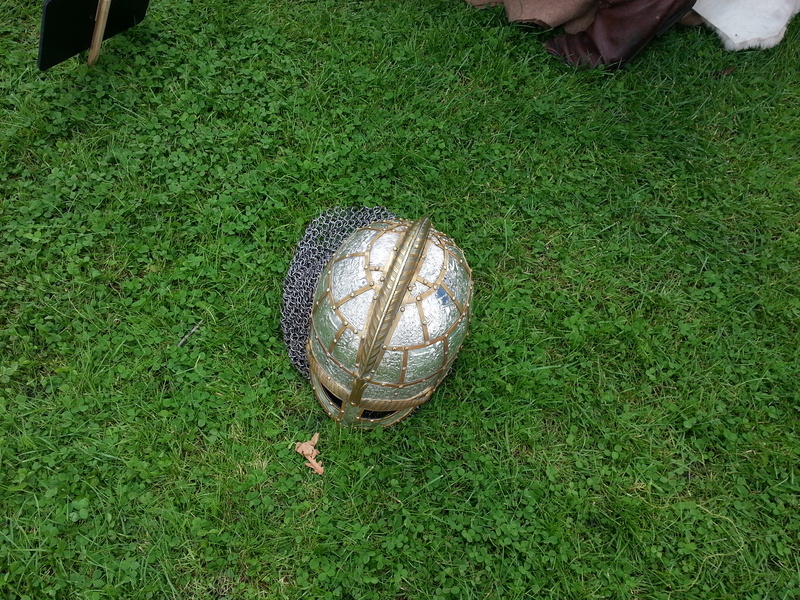 Foils were used by the Saxons to decorate their helmets. I took a photograph of one of their helmets (see below). And here are my favourite people again…The Thegns of Mercia! I managed to see even more of their items than last time (such as musical instruments, weaponry and runes), and I chatted to other members of the group too. It was so busy, and their stall was attracting crowds of people. I noticed that as soon as they started to talk to people about their role and what they have on show, more people began to cluster and listen in. It was great seeing the public take such a great interest in history. 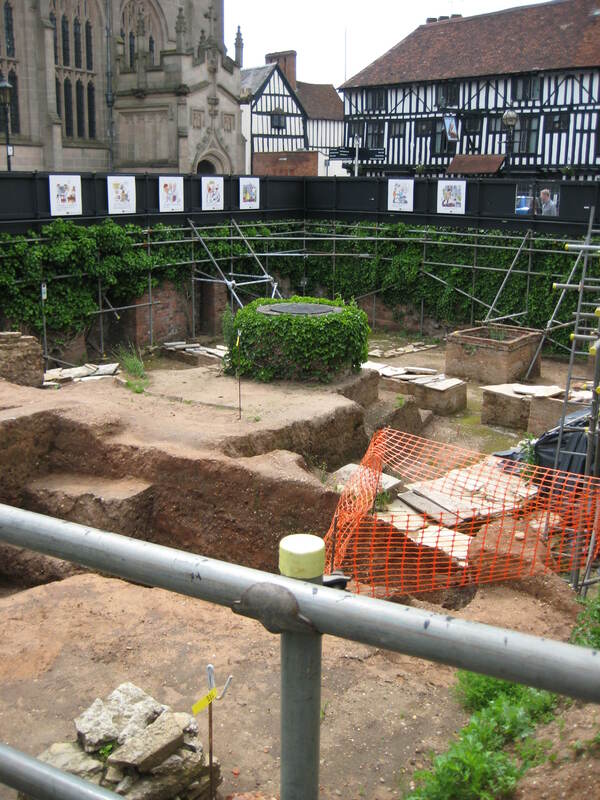 Today (after the torrential rain of Saturday) I went to the archaeology site in Stratford to help out as usual. I thought most of the site would be waterlogged, but I was pleasantly surprised that I didn’t have to swim to excavate! I have taken some photographs to document a bit of the progress that has been made!